Easily watch analog or over-the-air HDTV or Unencrypted 'clear' QAM (Digital Cable) in MPEG-2 video your PC with the AVerMedia HDTV Tuner card. Clicking the links below will open a new window on eBay with a full description of the AVerMedia HDTV PCI card for sale. The ATI TV Wonder HDTV PCI TV tuner cards for sale for your computer. 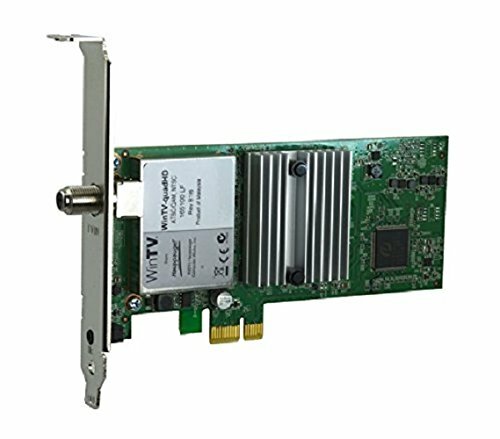 Upgrade your computer with a High Definition TV Tuner card. Easy to install, the PCI TV Tuner card upgrade will have you watching HDTV broadcasts in no time. Have an old tube TV with an analog tuner and want to bring it back to life? Have a new HDTV and want to add a recording feature to it? 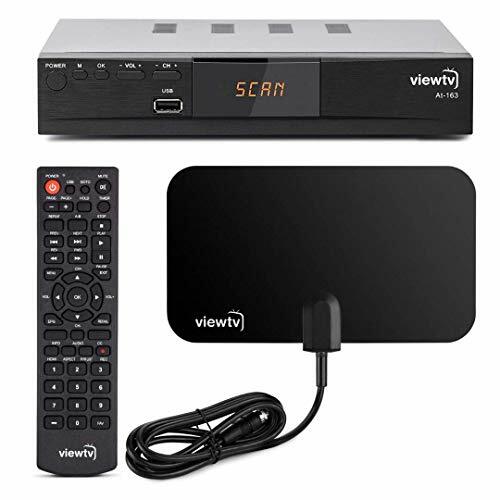 Look no further than the Viewtv AT-263 ATSC Digital TV Converter Box. It is the latest model in the ViewTV line of free tv solutions. All you need to do is hookup a digital TV antenna to your AT-263! Want to record? Just plug in a flash / thumb drive or an external hard drive into the USB port on your unit, and you're ready to go! Features: - Converts digital broadcast to your analog TV - Cable loop through - EPG (Electronic Programming Guide) and program information - Favorite channel list - Parental control function - Auto tuning (finds all digital broadcasts) - AUTO, 16:9 Pillar Box, 16:9 Pan G Scan, 4:3 Letter Box, 4:3 Pan G Scan, 4:3 Full, 16:9 Wide Screen - Closed Captioning - EAS (Emergency Alert System) to alert you of any emergency information from TV stations - Full function remote control - Real time recording and appointed recording - 1080P output / CVBS output - Timing startup and shutdown - USB multimedia player In the Box: ViewTV AT-263 Digital Converter Box Remote Control HDMI Cable Composite Cable NOTE: - Please do NOT purchase this device solely for QAM/Cable use. Please be advised that it will work ONLY with DECRYPTED channels. It may NOT work with all Cable providers. - New HDTVs WILL allow you to watch one channel using TV's digital tuner and record another, but you MUST enable "Loop Through" Under MENU/ Channel Search/ Modulation. - IMPORTANT: European DVB-T RF signal is NOT supported and will NOT work! - Please REMOVE Clear Plastic Covering from the top of Viewtv Box before use! It cause's box to overheat! 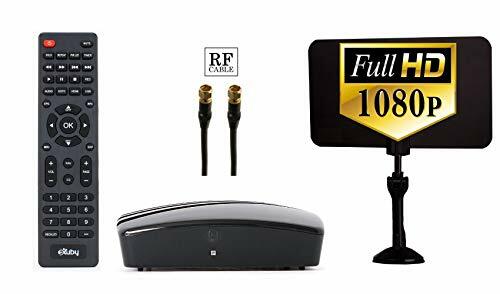 RF/Coaxial Cable & 35 Mile Range Flat Indoor Digital Antenna Included.Before you buy please note:- Not to be used as a cable box. This Digital Converter Box will NOT work with ANY cable services or signals such as Time Warner/Spectrum, AT&T, Cox, etc.- Not a standalone recorder. It is designed to ONLY record programs that it receives from an HD antenna. External USB storage device required - not included.- Number of channels received depends on your location and the antenna being used.- IMPORTANT: Please do an online search for available channels in your area and what type of antenna you need to receive channels. The FCC DTV Reception Map is a good source.Other Features:Favorite ChannelParental ControlAuto Signal TuningAnalog Pass-through Channel 3/4Recording and Multimedia Function - USB Flash Drive Required - NOT INCLUDEDTROUBLESHOOTING:LED Light Turns Off: If it is the first time the box is turned on, the LED light will light up and then turn off after a few seconds. This is normal. It means that the box has not yet been set up. You should see "Installation Guide" on your TV screen. If not, switch your TV to the correct correct video input.No Channel Found/ Few Channels Found: Re-position your antenna and do a channel search. If that doesn't help, it could be your location. Air signals are tricky & sensitive. Results vary depending on how far your home is from a transmitting tower. In addition, hills, mountains, trees, bodies of water, buildings and walls can interfere with over the air signals. Some areas might have a hundred channels and some areas might have none. 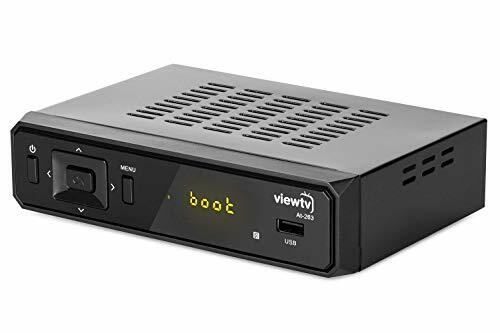 Keep in mind that this converter box is not a booster but simply a receiver.For further assistance please refer to the included flyer for our contact info or send us a message from your Amazon account. Flat Antenna and HDMI Cable IncludedBefore you buy please note:- Not to be used as a cable box. 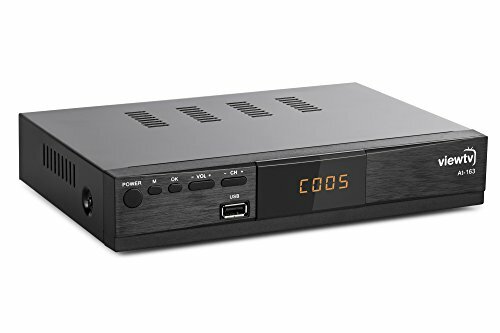 This Digital Converter Box will NOT work with ANY cable services or signals such as Time Warner/Spectrum, AT&T, Cox, etc.- Not a standalone recorder. It is designed to ONLY record programs that it receives from an HD antenna. External USB storage device required - not included.- Number of channels received depends on your location and the antenna being used.- IMPORTANT: Please do an online search for available channels in your area and what type of antenna you need to receive channels. The FCC DTV Reception Map is a good source.Other Features:LCD ScreenWith the bright LCD Screen you will always know what channel you are onFavorite ChannelCreate your own custom channel list for easier browsing.Parental ControlKeep children from watching inappropriate shows with the Parental Control feature.Auto Signal TuningThe digital converter box auto tunes each channel so you can receive the best possible picture.Analog Pass-through Channel 3/4You can choose to have your shows broadcasted on channel 3/4.Recording and Multimedia Function - USB Flash Drive Required - NOT INCLUDED Record your favorite TV show, playback movies, view pictures, and listen to your favorite music.PURCHASE your digital converter box and if you are not satisfied, send it back within 30 DAYS for a full refund. NO QUESTIONS ASKED. Click on Buy now with 1-Click or Add to Cart to own one NOW! LETS YOU WATCH LIVE HDTV ON DIFFERENT DEVICES - The SiliconDust HDHR5-4US receives free-to-air TV via an antenna, which sends live HDTV in media devices over your existing WiFi or Ethernet connection. 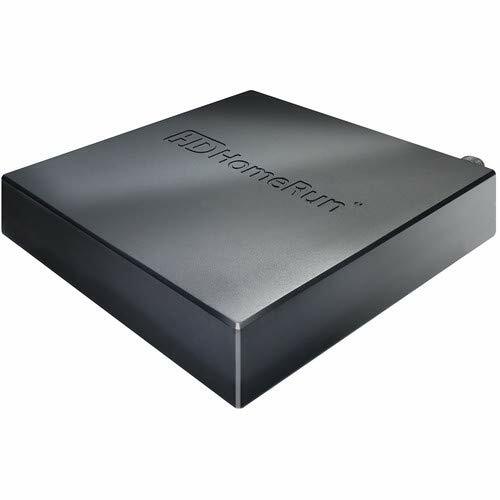 PROVIDES 4 TUNERS IN 1 BOX - Enjoy watching live HDTV on up to 4 devices (smart TV, smartphone, tablet or PC) simultaneously with the HDHomeRun CONNECT QUATRO. OFFERS MULTI-ROOM, MULTI-USER SETUP - For greater simultaneous access, you can connect other HDHomeRun Tuners into your router and enjoy watching live HDTV in more than four devices. WORKS WITH HDHOMERUN DVR SERVICE - You can watch, pause, record, rewind and schedule your TV shows by subscribing to the HDHomeRun DVR service (available at SiliconDust website). COMPATIBLE WITH EMBY - The Emby media server has client app support for live TV on Roku, PS 4, iOS, Android, and Windows web browser. It lets you stream media files in different streaming devices. 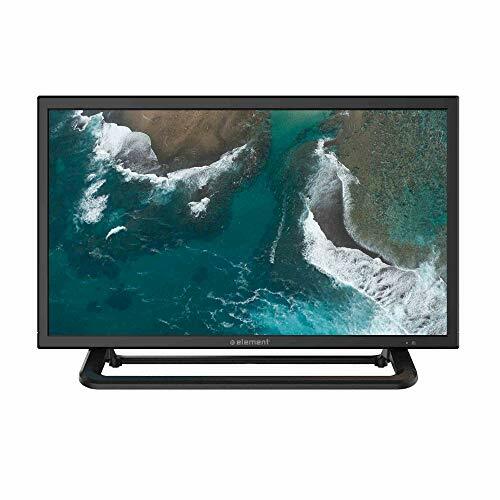 Element 19" 720p HDTV: Element Electronics offers state-of-the-art technology, advanced design, unwavering quality, reliability and support - all delivered at an affordable price. Have an old tube TV with an analog tuner and want to bring it back to life? Have a new HDTV and want to add a recording feature to it? 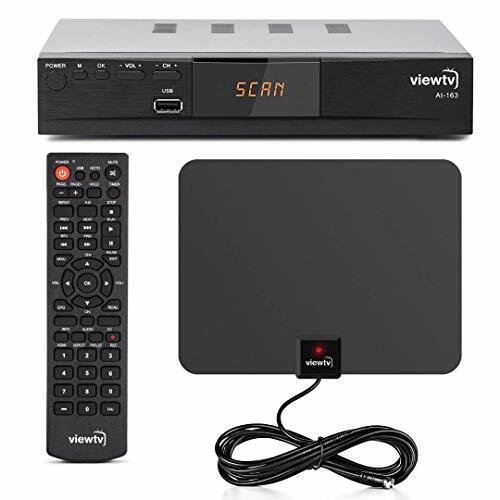 Look no further than the Viewtv AT-263 ATSC Digital TV Converter Box. It is the latest model in the ViewTV line of free tv solutions. All you need to do is hookup a digital TV antenna to your AT-263! Want to record? Just plug in a flash / thumb drive or an external hard drive into the USB port on your unit, and you're ready to go! Features: - Converts digital broadcast to your analog TV - Cable loop through - EPG (Electronic Programming Guide) and program information - Favorite channel list - Parental control function - Auto tuning (finds all digital broadcasts) - AUTO, 16:9 Pillar Box, 16:9 Pan G Scan, 4:3 Letter Box, 4:3 Pan G Scan, 4:3 Full, 16:9 Wide Screen - Closed Captioning - EAS (Emergency Alert System) to alert you of any emergency information from TV stations - Full function remote control - Real time recording and appointed recording - 1080P output / CVBS output - Timing startup and shutdown - USB multimedia player - Front Panel 12 Hour Time Display In the Box: ViewTV AT-263 Digital Converter Box Remote Control HDMI Cable Composite Cable NOTE: - Please do NOT purchase this device solely for QAM/Cable use. Please be advised that it will work ONLY with DECRYPTED channels. It may NOT work with most Cable providers. - New HDTVs WILL allow you to watch one channel using TV's digital tuner and record another, but you MUST enable "Loop Through" Under MENU/ Channel Search/ Modulation. - IMPORTANT: European DVB-T RF signal is NOT supported and will NOT work! - Please REMOVE Clear Plastic Covering from the top of Viewtv Box before use! It cause's box to overheat! Four Tuners on a half height PCI Express board.Built-in cable TV splitter allows you to make one connection to cable TV. Clicking the links below will open a new window on Ebay.com with a full description of the ATI HDTV tuner. Watch, pause and record TV shows with instant replay on your PCBurn your favorite TV shows or home videos onto DVD or CD Watch TV on your PC screen using a 125 channel cable ready TV tuner. Surf the net while you watch TV on your PC screen! Clicking the links below will open a new window with a complete description on eBay of the Happauge PC HDTV tuner for sale. Kworld PlusTV HD PCI 120 provides the advanced playback functions such as pause, instant replay, time-shifting, fast-forward and rewind. Using your computer's high resolution monitor to watch HDTV, you'll be able to see every detail. The links below will open a new window on eBay with a full description of the K-World PCI card for sale. HDTV PCI Tuner cards for sale for your computer. Upgrade your computer with an High Definition TV Tuner card. Easy to install, the PCI TV Tuner card upgrade will have you watching HDTV broadcasts in no time. Using your computer's high resolution monitor, you'll be able to see every detail. Clicking on the links below will open a new window on eBay with a detailed description of the HDTV PCI Tuner card.